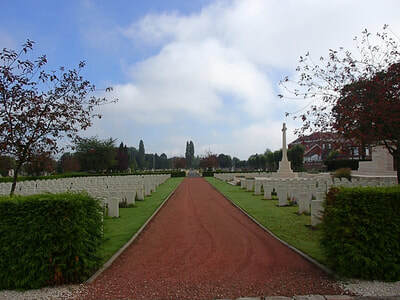 Valenciennes (St Roch) Communal Cemetery is situated on the north-east side of Valenciennes, about 1.5 kilometres from the centre. 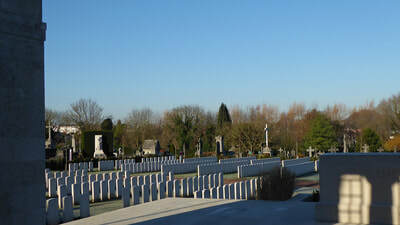 It is on the north side of the road to Bruay-sur-L'Escaut. Valenciennes remained in German hands from the early days of the First World War until 1-2 November 1918, when it was entered and cleared by the Canadian Corps; 5,000 civilians were found in the town. 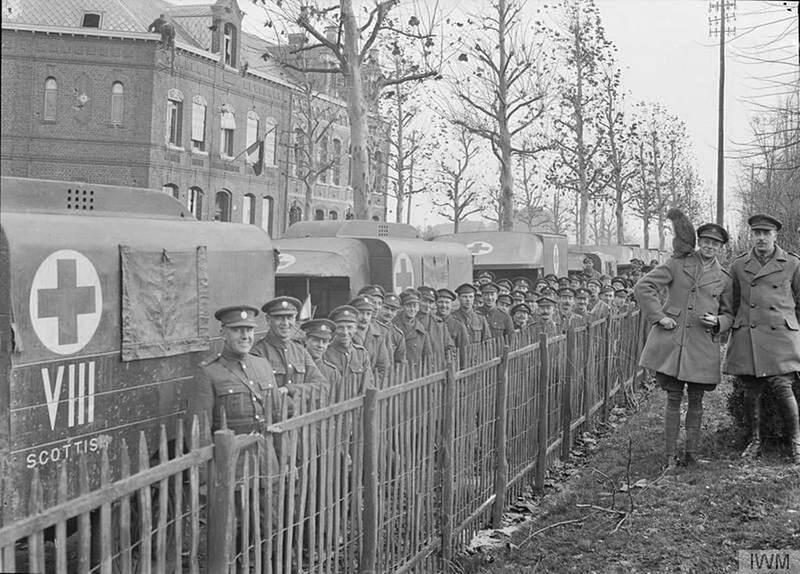 In November and December 1918, the 2nd, 57th, 4th Canadian and 32nd Casualty Clearing Stations were posted at Valenciennes and the last of them did not leave until October 1919. 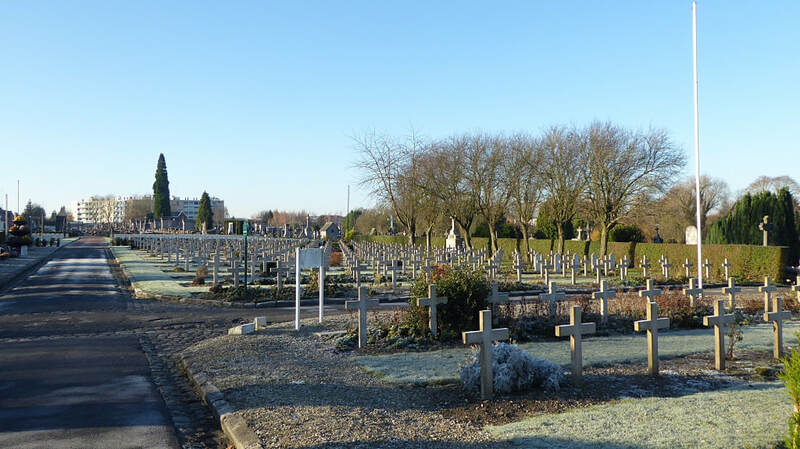 The Communal Cemetery of St. Roch was used by the Germans in August and September 1914 and an extension was then made on the south-east side. 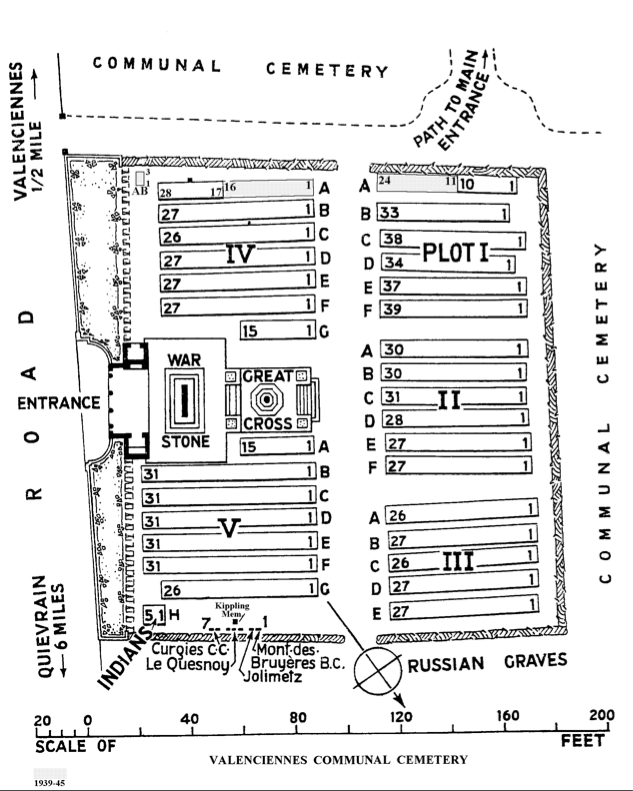 The Commonwealth plots were made adjoining the German: I and II contain the graves of October 1918 to December 1919; III, IV, V and part of VI contain the graves of 348 soldiers buried originally in the German Extension and 226 whose bodies were brought from other cemeteries or from the battlefields. 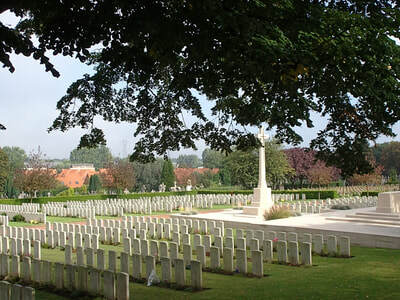 The German Extension has since been removed and the Commonwealth plots are within the enlarged Communal Cemetery. 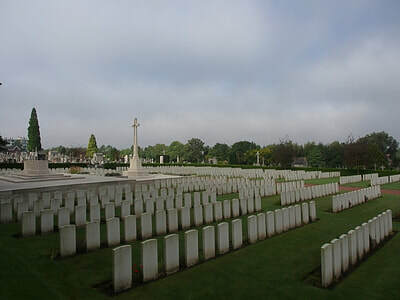 ARTRES BRITISH CEMETERY, on the road from Artres to Preseau, contained the graves of 32 soldiers of the 61st (South Midland) Division who fell on the 1st November 1918. 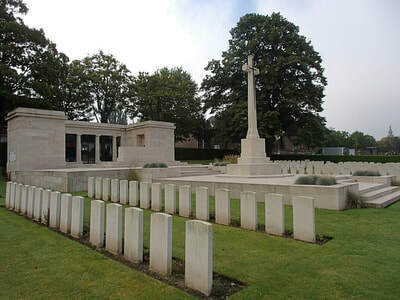 MONT-DES-BRUYERES BRITISH CEMETERY, ST. AMAND-LES-EAUX, where 17 soldiers from the United Kingdom, who fell in October and November 1918, were buried. 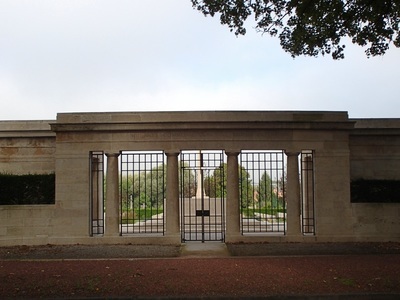 The cemetery now contains 885 Commonwealth burials and commemorations of the First World War. 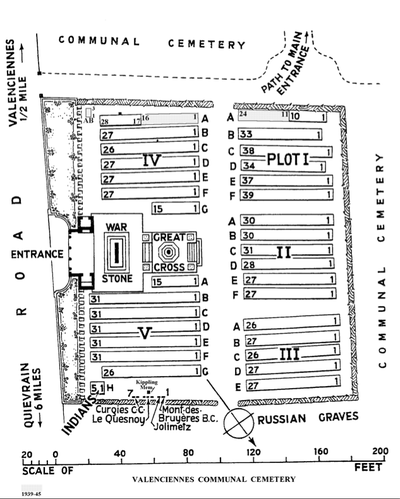 37 of the burials are unidentified. 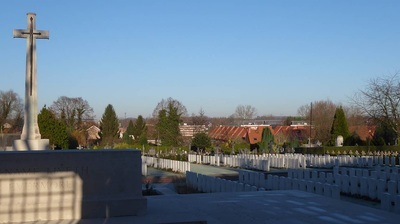 Special memorials commemorate 19 casualties who died as prisoners of war, of whom nine are buried here (Plot IV, Row A.) and ten at Le Quesnoy Communal Cemetery Extension, none of whom could be individually identified; all are therefore commemorated at both sites. 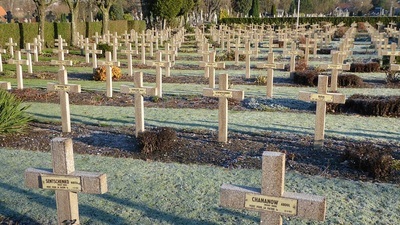 Other special memorials record the names of seven soldiers buried in other cemeteries whose graves could not be found. 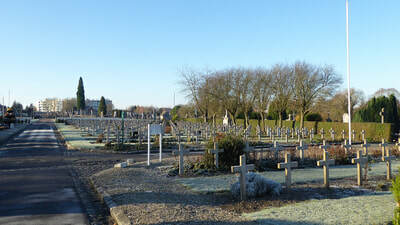 The cemetery also contains 34 burials from the Second World War, all but one of them airmen. 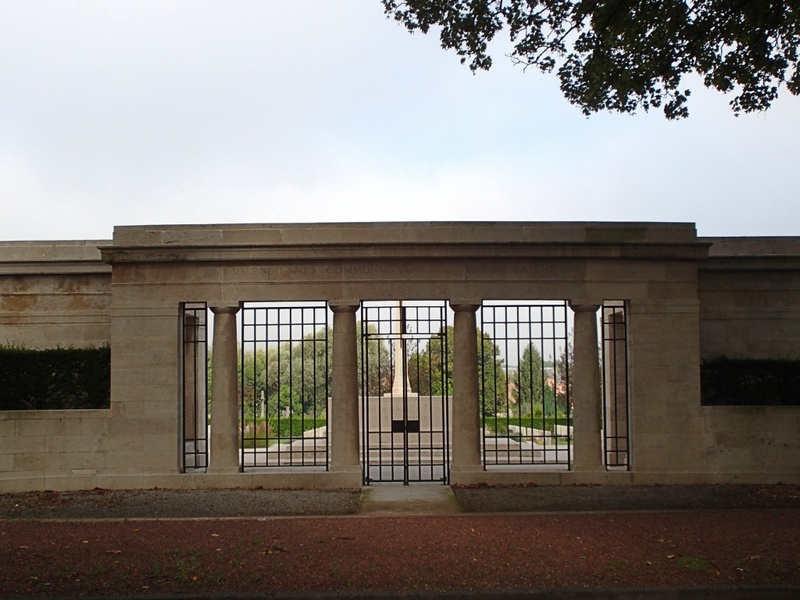 An interesting feature from the 1939-45 War, is a memorial tablet of white marble affixed to the outside wall of the shelter building, commemorating the Commission's former gardener, the late Robert Armstrong. 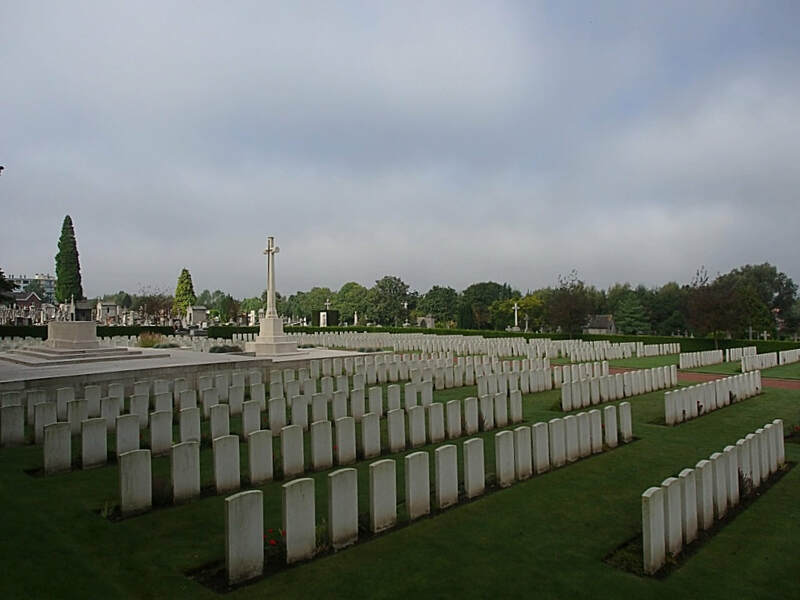 An ex-Irish Guardsman, Mr. Armstrong held an Irish passport and, as a neutral, was allowed to continue at work in the cemetery after the outbreak of war. 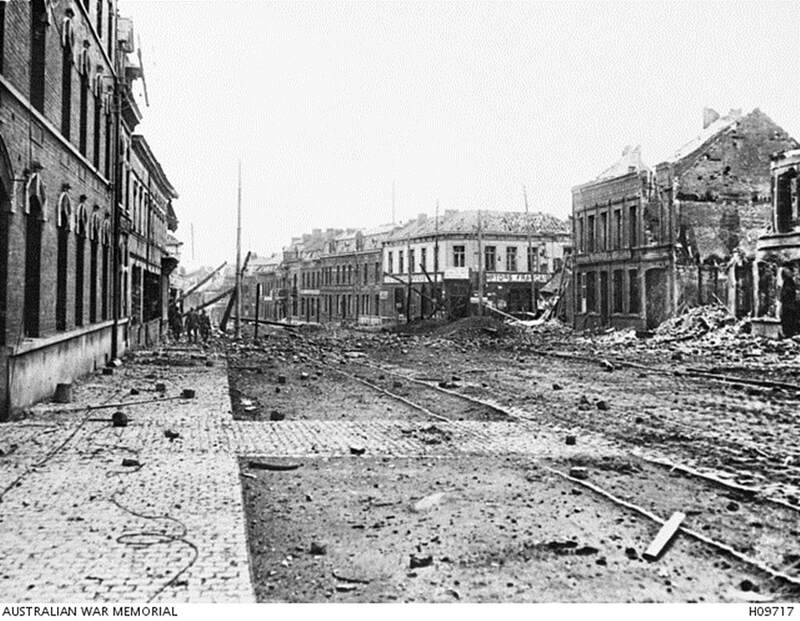 His sympathies impelled him to assist Allied soldiers and airmen to escape, and he was arrested by the Germans at the end of 1943. The original death sentence was commuted to 15 years imprisonment, and he was deported to Germany, dying at Waldheim Camp, Saxony, in December, 1944. For his help to Allied escapees he was posthumously awarded the Medaille de Resistance Francaise, and the tablet was a voluntary token of remembrance from the people of Valenciennes and the surrounding district. The cemetery also contains a memorial to Sir William Douglas, K.C.B., who commanded the 91st Regiment in the Waterloo campaign. 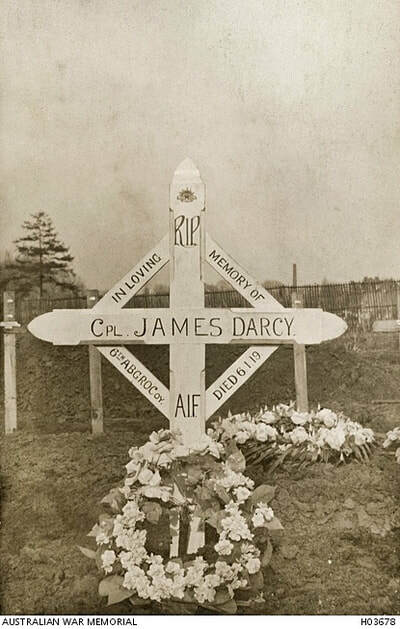 5th July 1917, aged 21. Son of Richard Hale, of Upper Mill Bank, Evesham, Worcs. 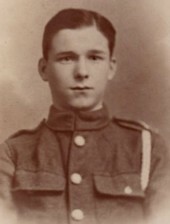 25th July 1915, aged 20. 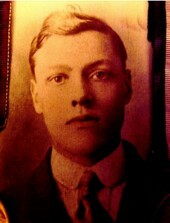 ​Son of Alfred and Hannah Heden, of 11, Grove Rd., Barnes, London. 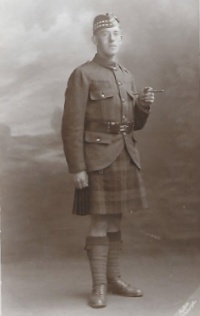 22nd April 1918, aged 38. Husband of Eleanor Leach, of 56, Stourbridge Rd., Scotts Green, Dudley, Worcs. 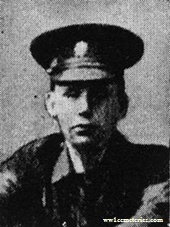 Killed in action 25th October 1918, aged 23. 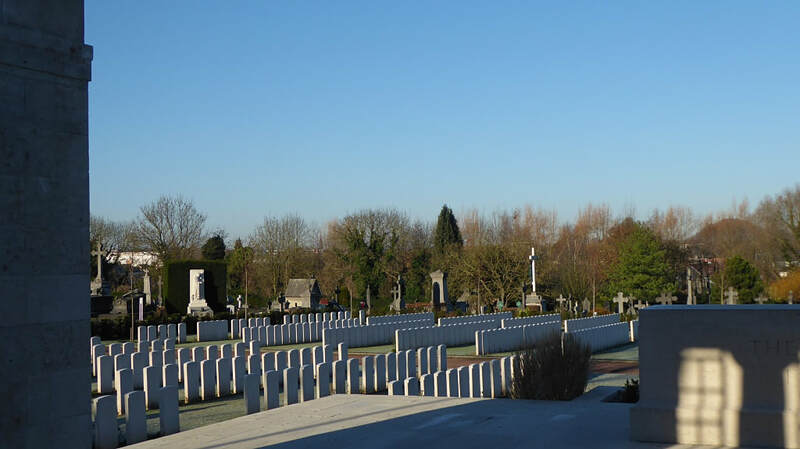 17th November 1918, aged 23. Son of George Northfield, of 348, Mill Rd., Cambridge. 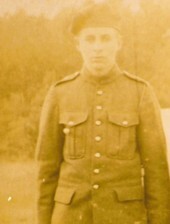 Son of Nehemiah Smith, Clarks Harbour Nova Scotia. 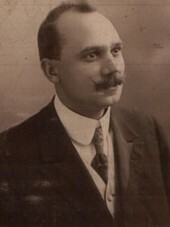 10th Bn. 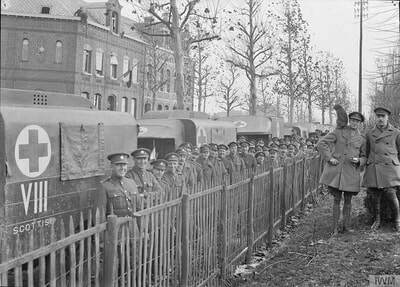 King's Royal Rifle Corps.